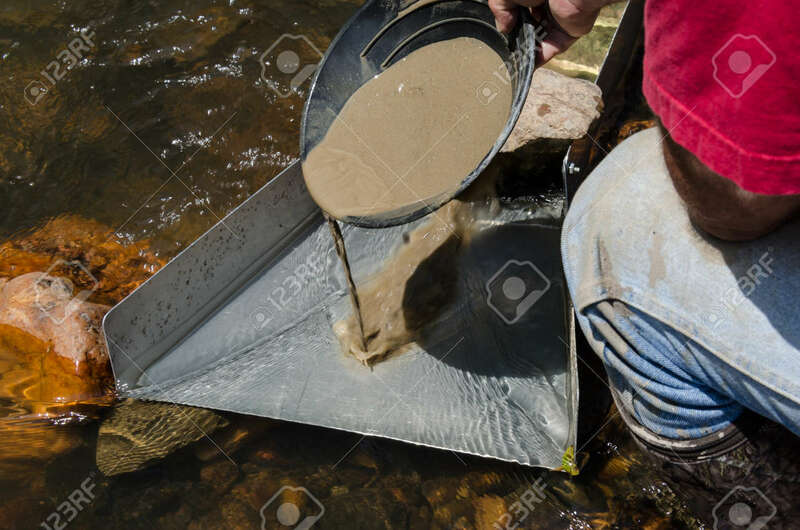 Gold Panning With Sluice Box. Gold Prospector Feeding Mineral Rich Material Into Sluice Box. Fun Recreational Outdoor Activity Of Panning For Gold And Gem Stones. Lizenzfreie Fotos, Bilder Und Stock Fotografie. Image 105278973. Standard-Bild - Gold panning with sluice box. Gold prospector feeding mineral rich material into sluice box. Fun recreational outdoor activity of panning for gold and gem stones. Gold panning with sluice box. Gold prospector feeding mineral rich material into sluice box. Fun recreational outdoor activity of panning for gold and gem stones.